Left – Melissa Dabulamanzi (Education Director) and right – Landon Peppel (Director of Wind Wolves) posing for a photo. 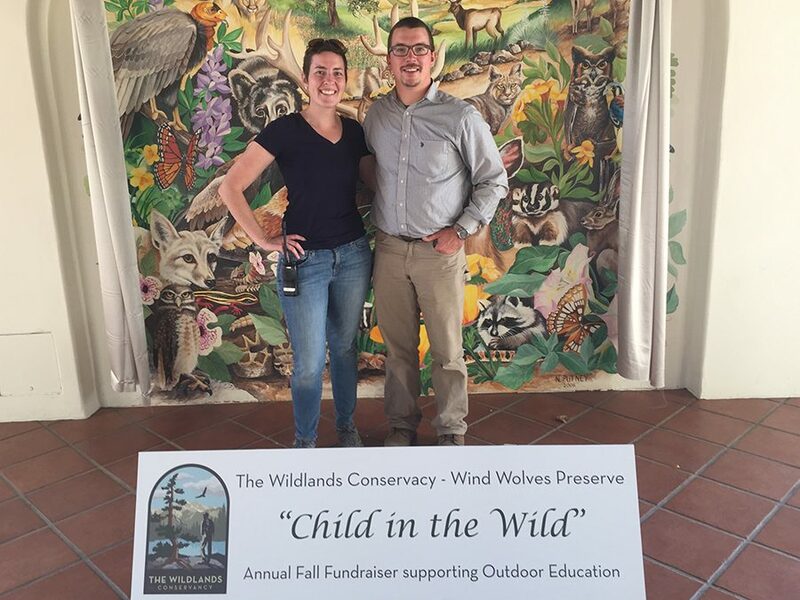 Wind Wolves Preserve, a 93,337-acre non-profit nature preserve, located near the Grapevine, hosted their 2nd annual fundraiser, “Child in the Wild,” event on Nov. 4 from 6-8:30 p.m. The fall fundraiser cost $35 and featured local speakers, some of whom represented a variety of school districts in Kern County, food, drinks and entertainment. The event brought in funding for the outdoor educational program that Wind Wolves offers. They host up to 10,000 Kern County students annually and is a part of 15 current preserves across the state of California that have educational programs for children. Wind Wolves mission is “To preserve the beauty and biodiversity of the earth and to provide programs so that children may know the wonder and joy of nature,” according to Landon Peppel, who is the preserve Manager and Northern Conservation Director for the Wildland Conservancy. He said that hosting events like these allow for children to get an outdoor education with an emphasis on curriculum that supports what students are learning in the classroom. They have recently added bilingual programing to “better address the variety of demographics that use the preserve,” Peppel said. As far as financial goals that the program anticipated to meet from the fundraiser, they expected around $30,000 to $50,000, according to Peppel. Attendees included, “company and corporate sponsors that provided financial contributions for the event, and the people who purchased tickets,” according to Peppel, with many local sponsors who shared in the educational fundraising venture, such as Micoene Productions, California Resources Corporation, Chevron, Kaiser Permanente, Vulcan Materials, and WRA, Inc.
Pepple mentioned that there were many more sponsors and contributors to the event, such as Bakersfield Museum of Art, CSUB, The Garlic Company and Panera Bread, Jennifer Williams Photography and Two Galz Photography.